Disney During World War II encompasses the full range of material created by the Disney studio during the war, including ground-breaking training and educational films for the military and defense industries, propaganda and war-themed shorts and features, home front poster art, and the stunning military unit insignia that provided those serving the in the armed forces with a morale-boosting reminder of home. The book makes it clear how deeply Walt invested himself in the cause by patriotically placing his studio at the disposal of Uncle Sam. 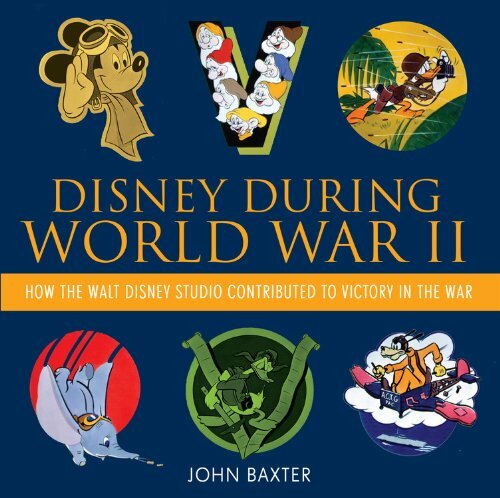 Replete with period graphics, Disney During World War II showcases Walt Disney's largely unheralded sacrifices in the pursuit of Allied victory, showing the inner workings of a wholesome family entertainment studio transformed almost overnight into a war plant where even the studio's stable of established characters were temporarily reinvented as warriors and team-oriented, patriotic American citizens.